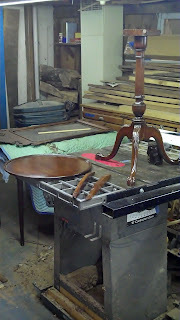 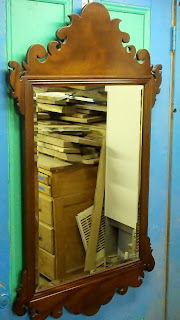 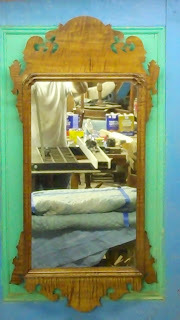 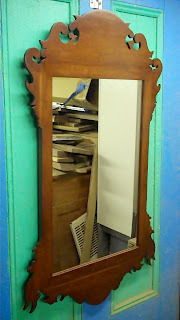 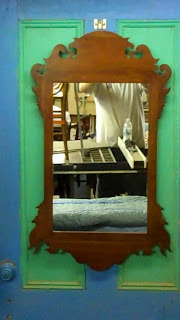 Below are some photos of the Chippendale style mirrors I was working on completed. 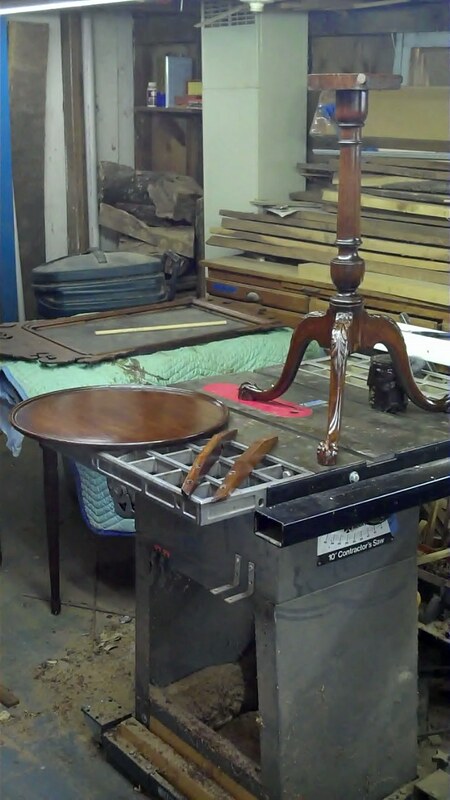 The Mahogany and Cherry mirrors were each cleaned and waxed, while the Tiger Stripe Maple mirror had it's finish removed and was refinished with French Polish. A thin stain was added to even out the color. 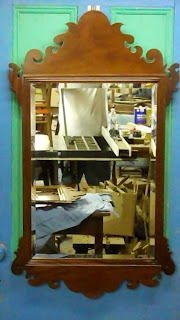 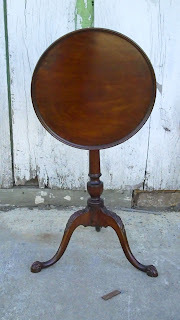 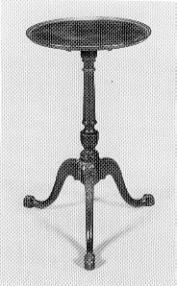 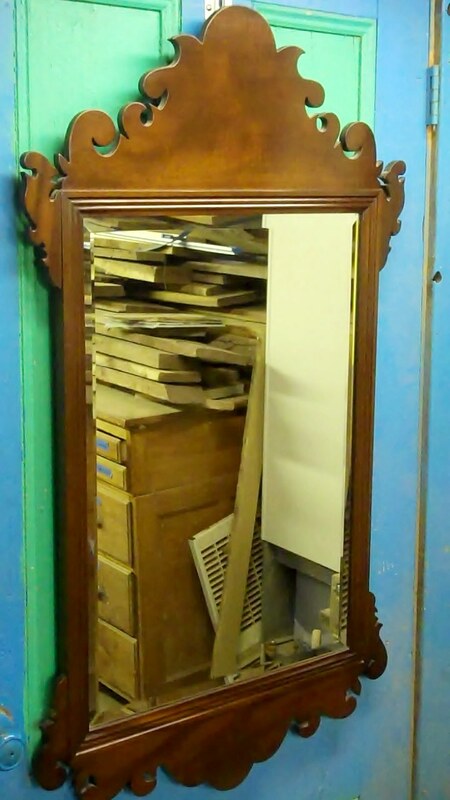 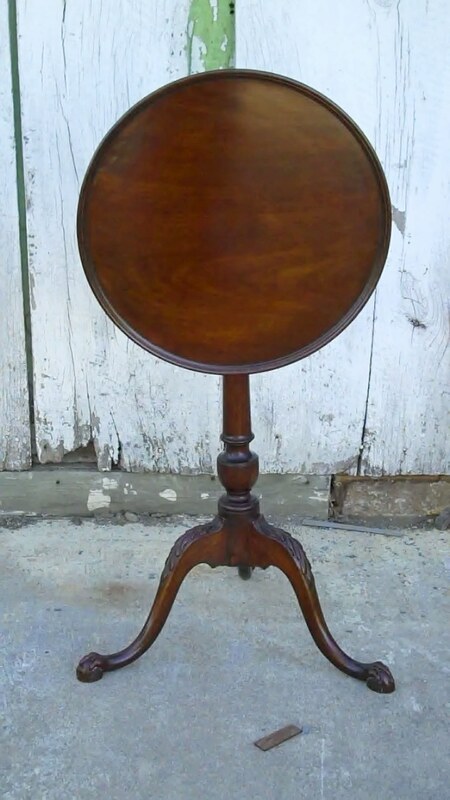 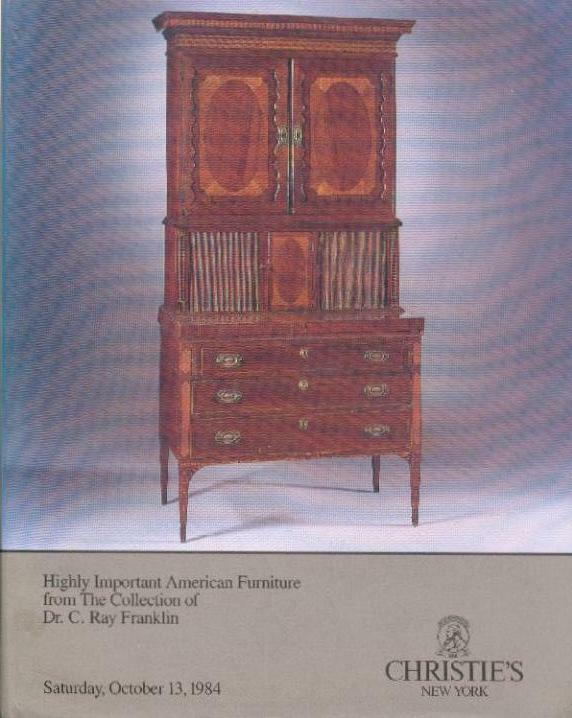 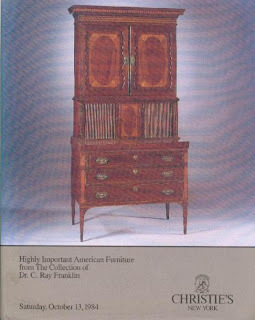 First, the Mahogany Mirror (all mirrors of seen from side views and directly). 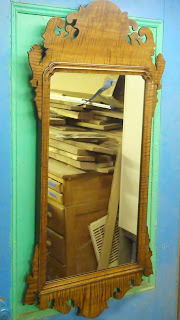 And the Tiger Stripe Maple Mirror. 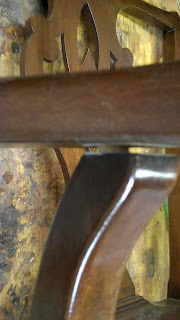 The chair is seen in the photo below as it came to me. the chair needed to be re-glued and had some broken joinery. 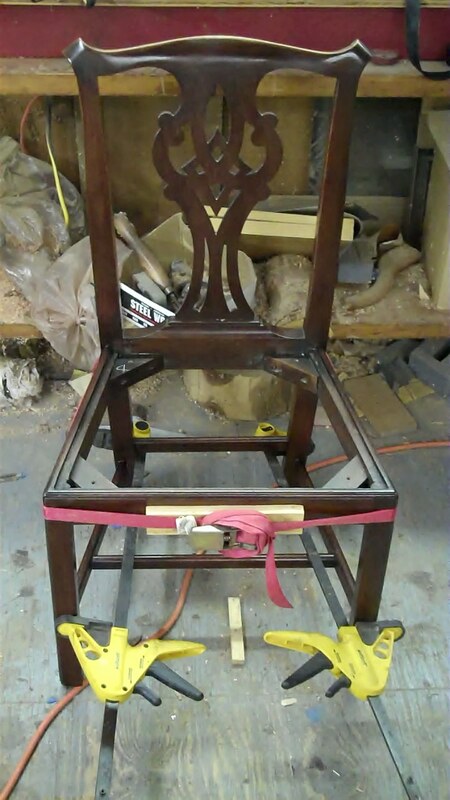 The seat also needed to be replaced. 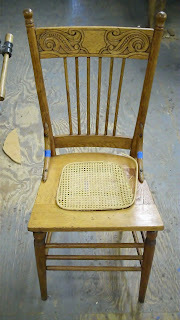 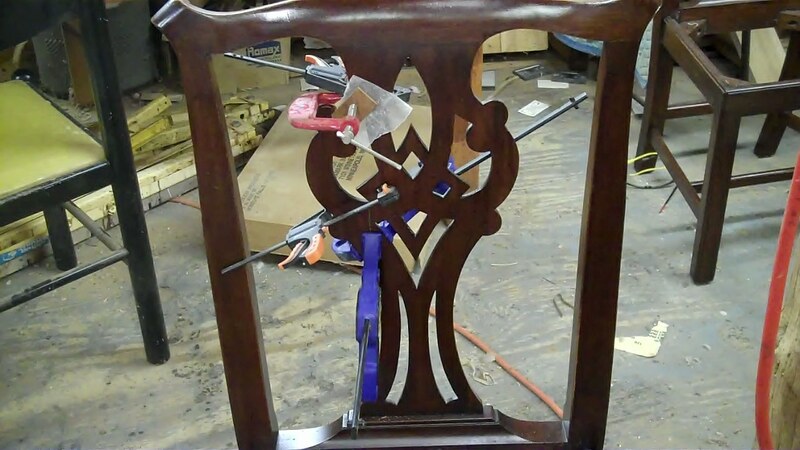 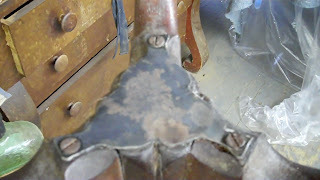 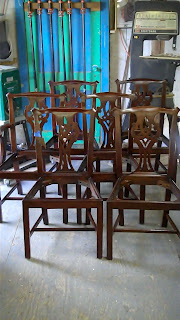 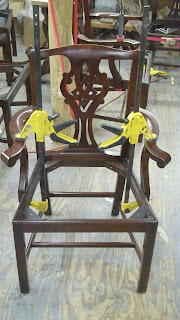 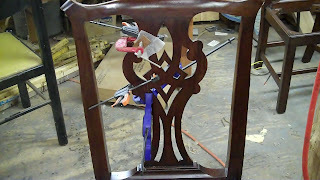 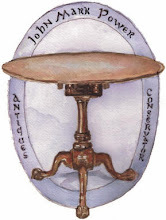 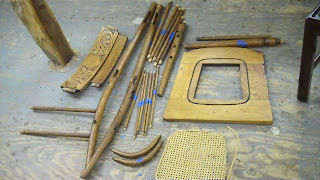 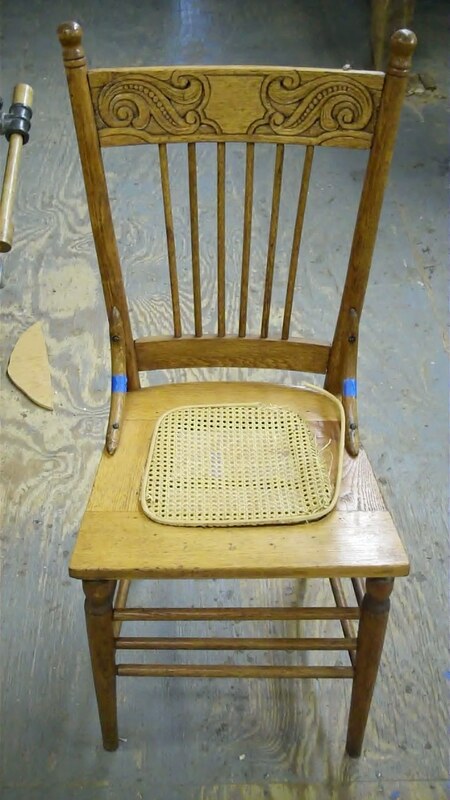 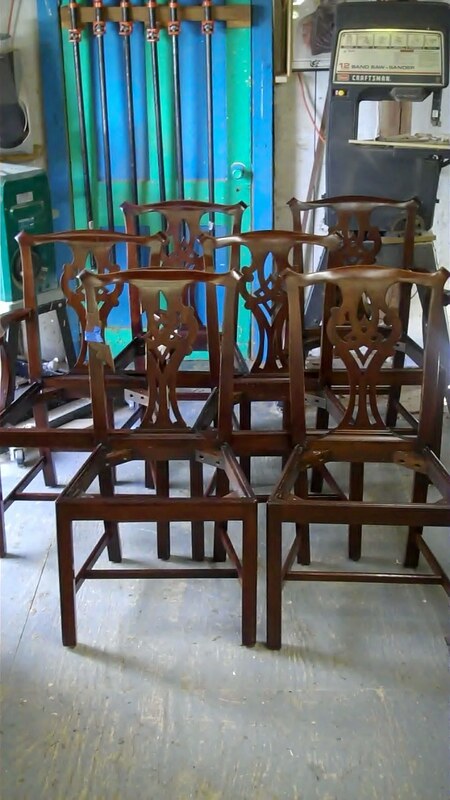 I will post a photo of the completed chair when it returns from the Caner. 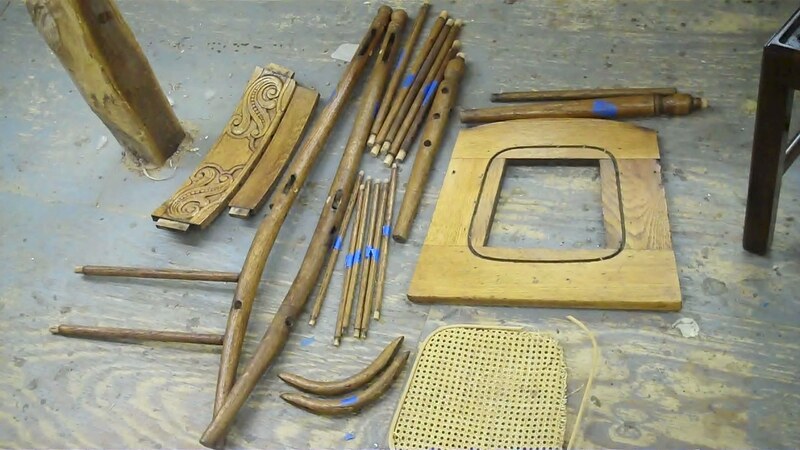 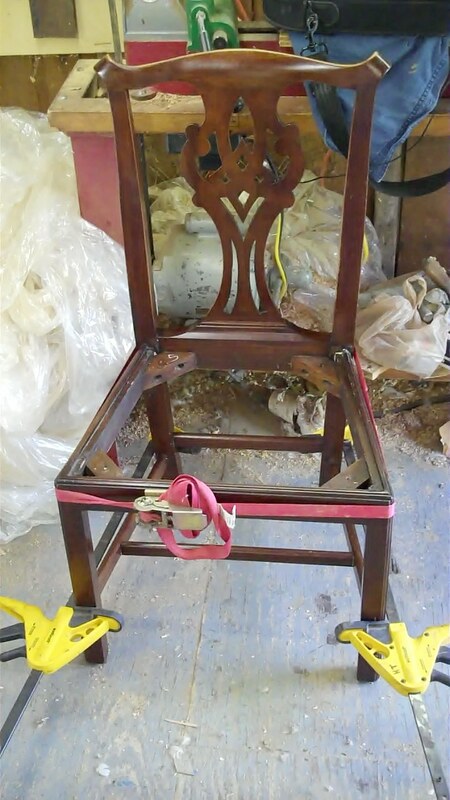 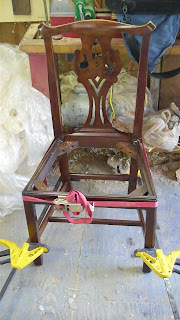 Here is a photo of the chair after it was dismantled for re-gluing. almost every joint in the chair was loose. 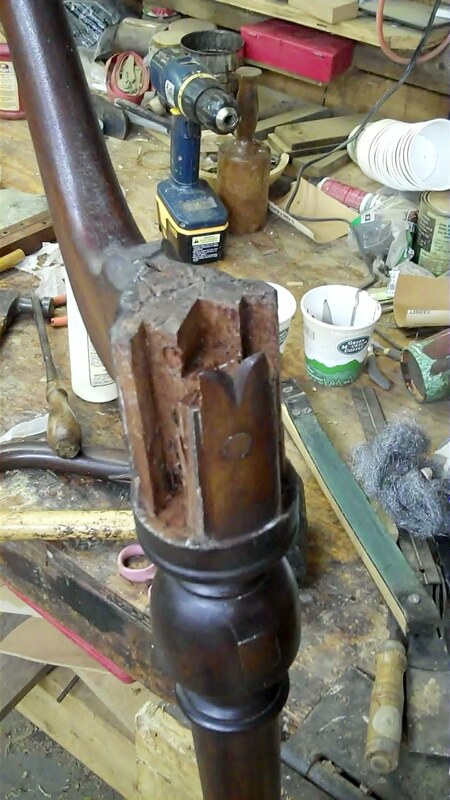 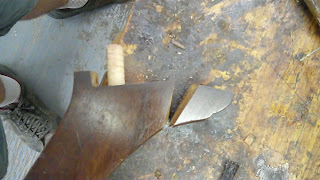 One tenon was broken off the end of a stretcher. 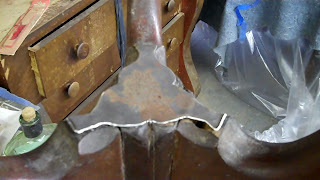 the first step in repairing it was to saw the broken part off. 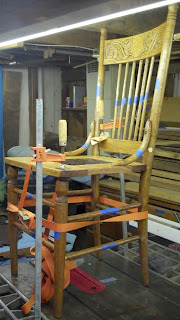 I have wrapped the end of the stretcher in tape for the following step. 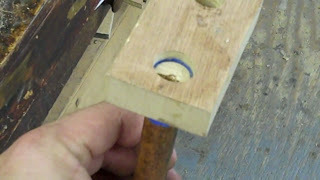 The broken stretcher is fit into a hole drilled with a Forstner bit using the blue tape. 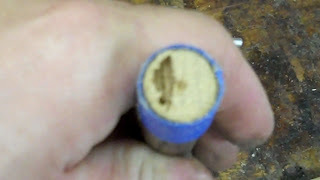 Once the stretcher is snug the same bit is jammed into the end grain of the stretcher to locate the center of the piece. 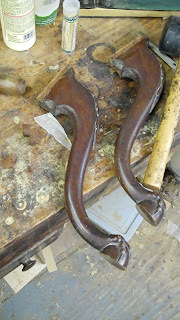 The second photo shows the bit finding the center and the third shows the indention in the end of the stretcher. 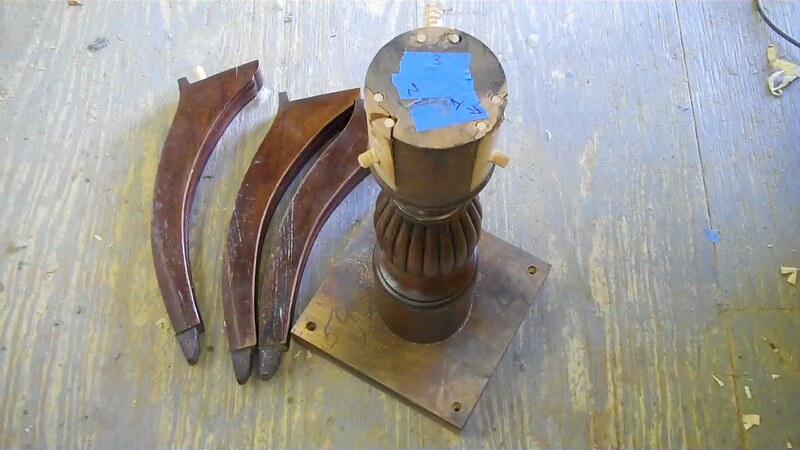 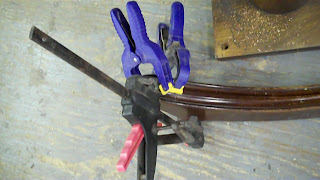 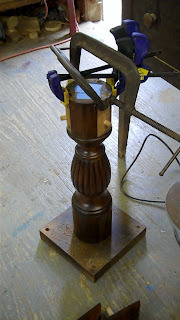 Next, the stretcher is clamped into a vise with the block still around it. 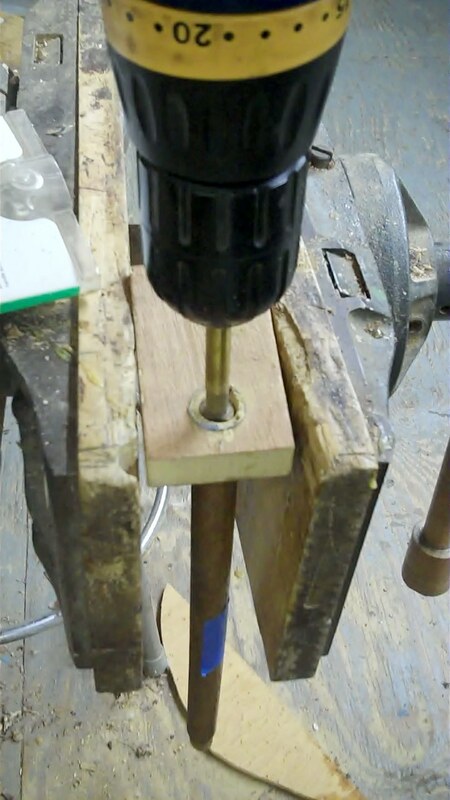 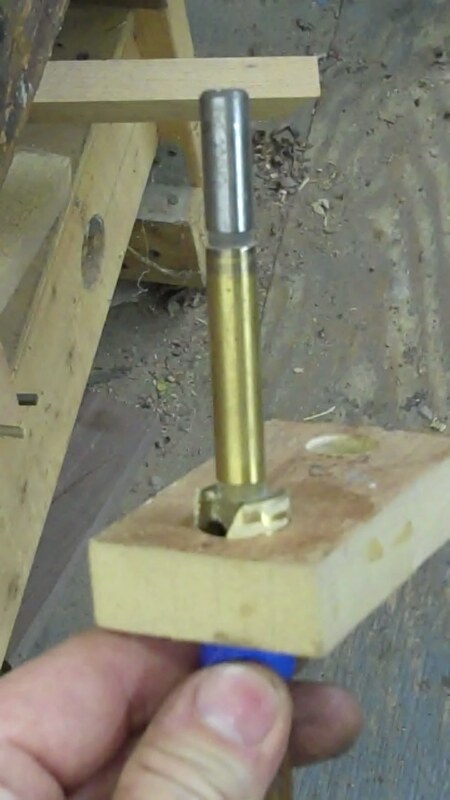 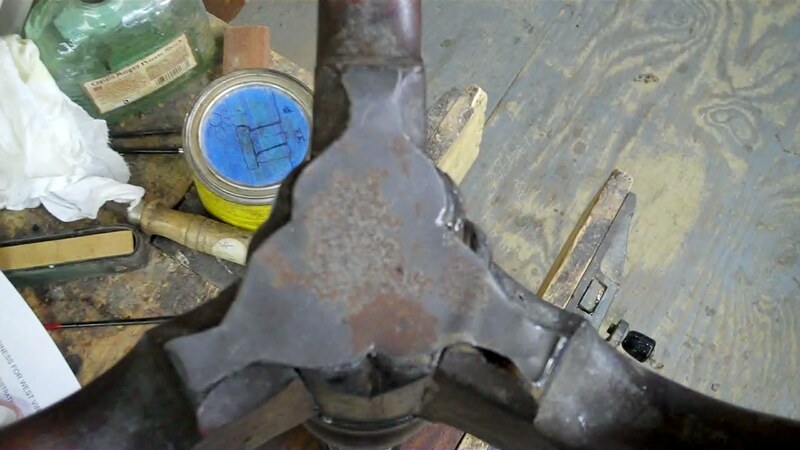 A smaller diameter Forstner bit is used to make a Mortise for a dowel. 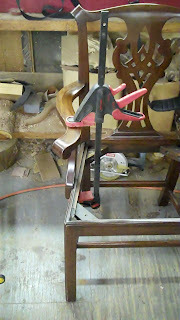 The block is left in place to prevent the stretcher from splintering. 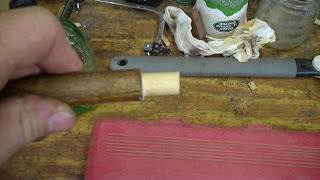 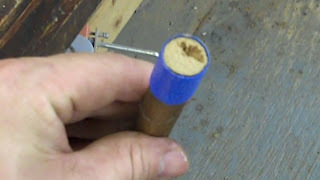 A new dowel is inserted with glue and a new tenon is created! 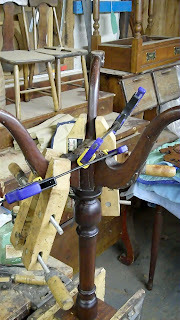 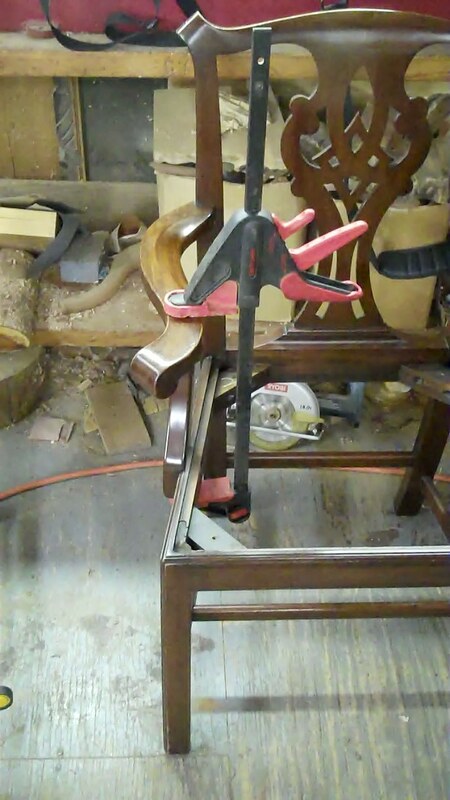 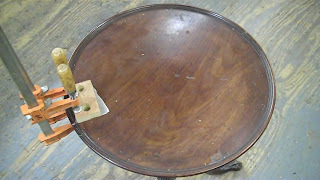 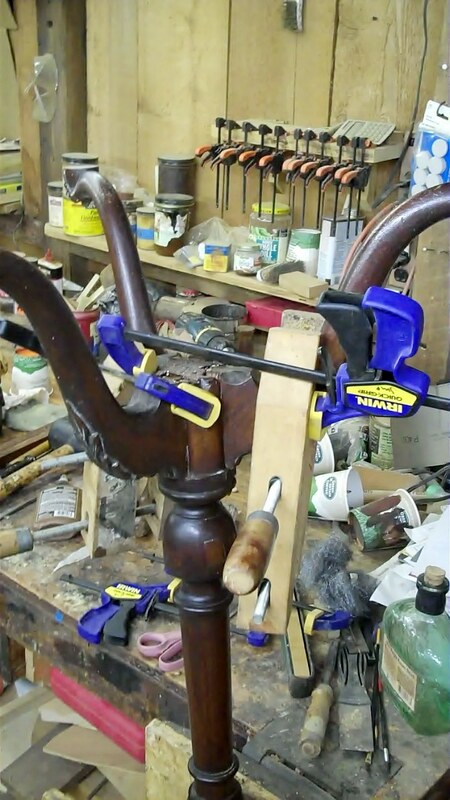 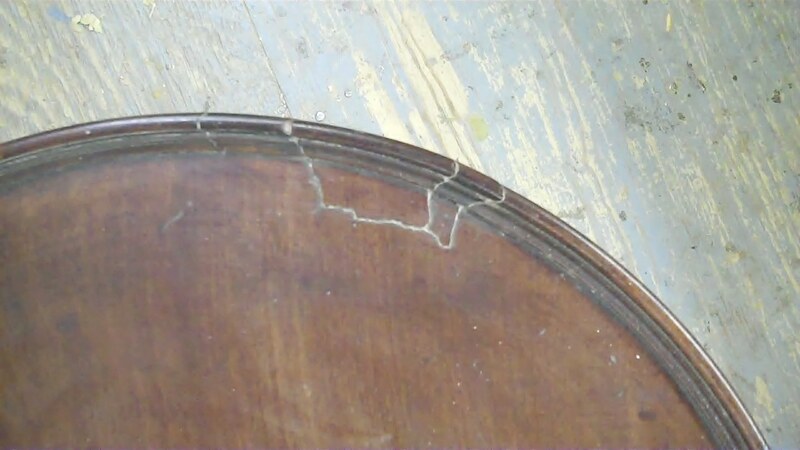 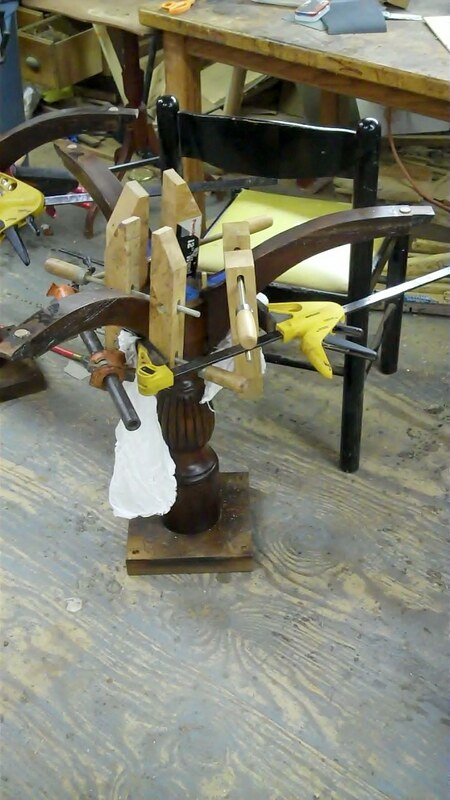 After all of the joinery was cleaned of it's old glue, the chair was re-glued and clamped to the surface of the Table Saw, which is a nice level surface. 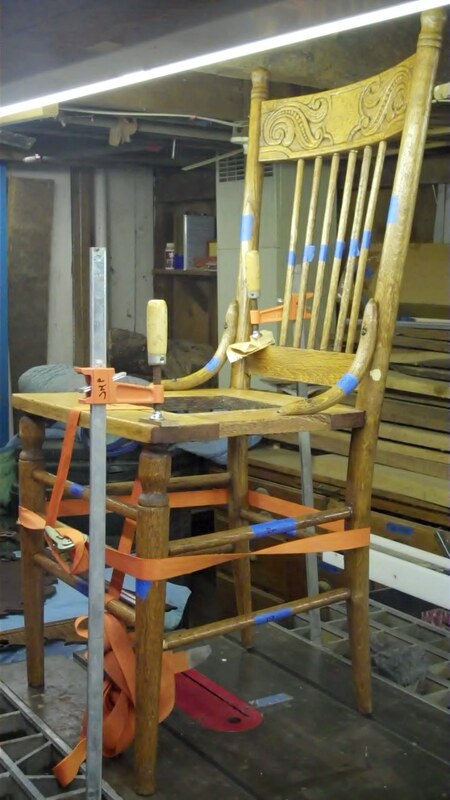 The blue tape on the chair is to indicate which piece goes where. 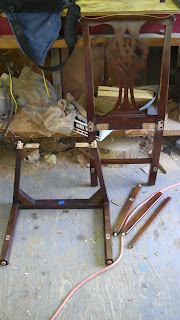 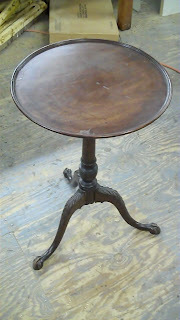 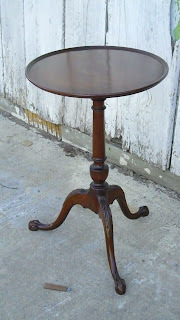 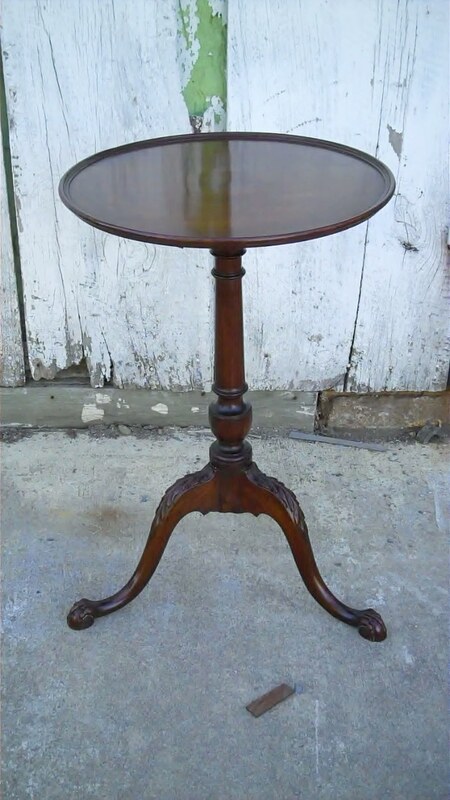 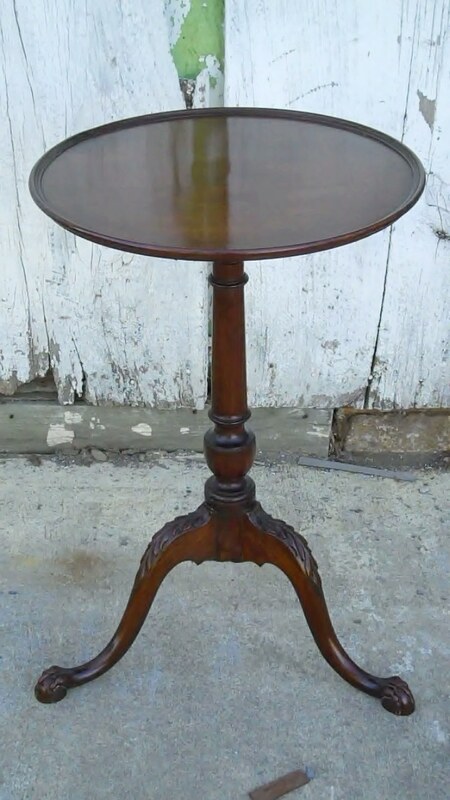 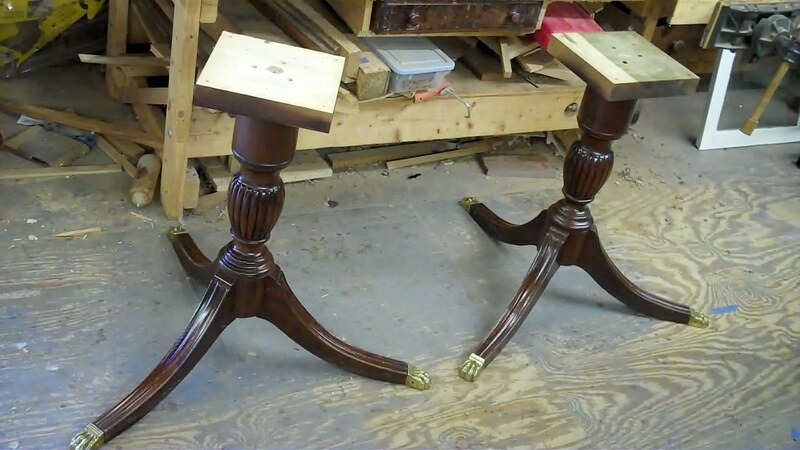 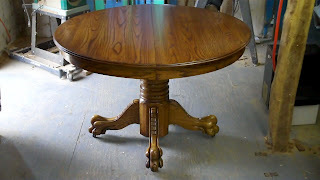 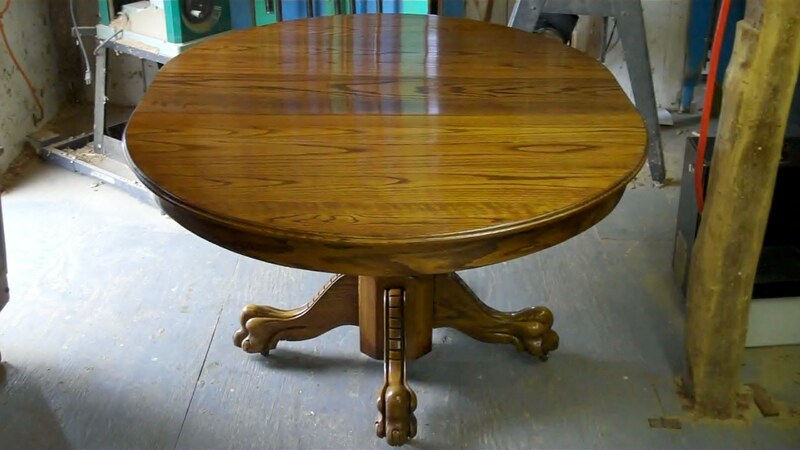 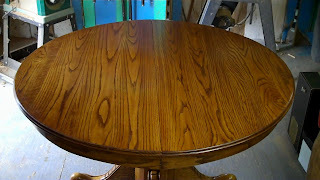 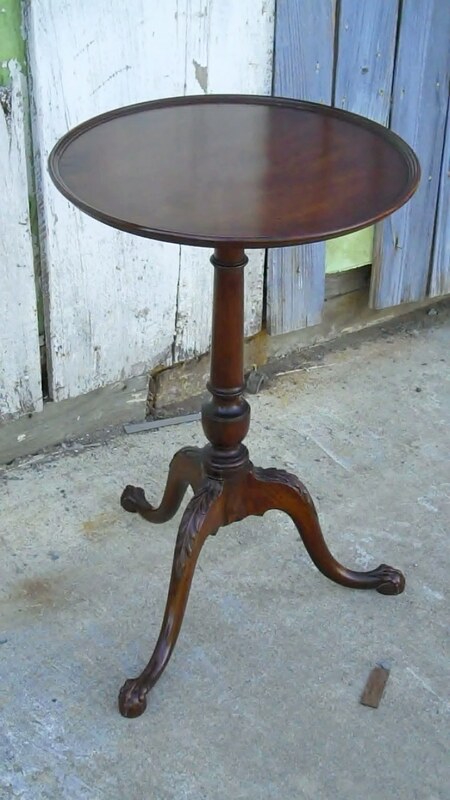 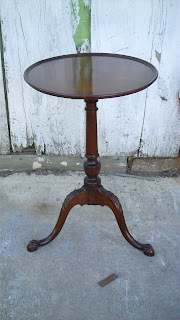 Below are photos from different angles and one with the top of the table tilted upright.